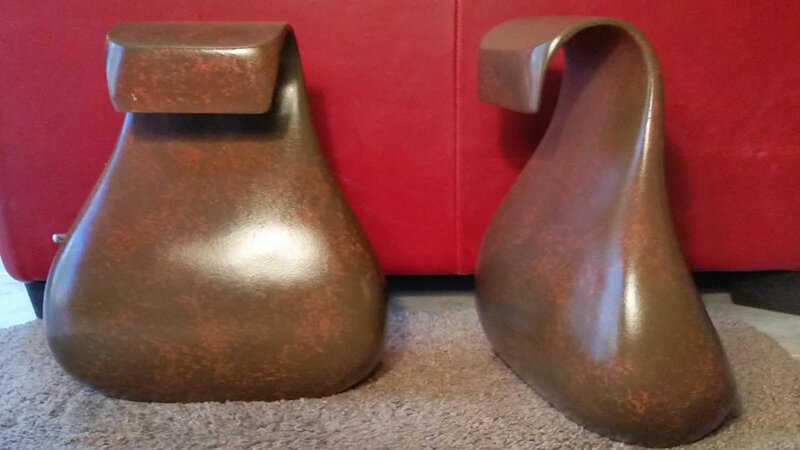 A very unique companion urn set made of two individual pieces that combine to form one heart-centered memorial. Cast using the lost wax method and finished with a brown patina and protective coat. These solid, cast bronze companion urns are each individually crafted and finished so each set can differ slightly in color. Each urn has a separate compartment that opens on the bottom by removing several screws and a metal plate. Special Order: Please call for current availability.